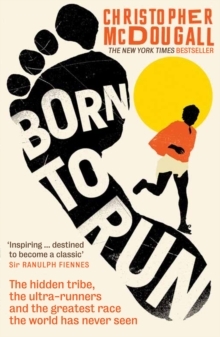 At the heart of Born to Run lies a mysterious tribe of Mexican Indians, the Tarahumara, who live quietly in canyons and are reputed to be the best distance runners in the world; in 1993, one of them, aged 57, came first in a prestigious 100-mile race wearing a toga and sandals. 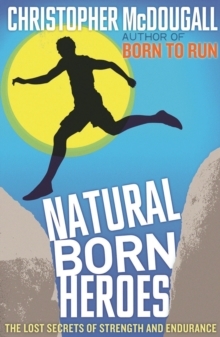 A small group of the world's top ultra-runners (and the awe-inspiring author) make the treacherous journey into the canyons to try to learn the tribe's secrets and then take them on over a course 50 miles long. 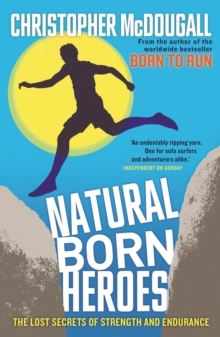 With incredible energy and smart observation, McDougall tells this story while asking what the secrets are to being an incredible runner. Travelling to labs at Harvard, Nike, and elsewhere, he comes across an incredible cast of characters, including the woman who recently broke the world record for 100 miles and for her encore ran a 2:50 marathon in a bikini, pausing to down a beer at the 20 mile mark.